With predictions of a wet El Niño winter and a deluge of sewage-related waste being released into Santa Monica Bay from a local sewage treatment plant, it’s clear that school environmental clubs have their work cut out for them. 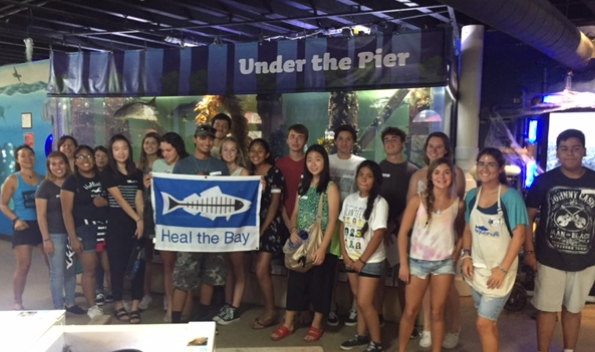 Last Sunday, 25 students representing nine different middle and high school environmental clubs crept into the closed-to-the-public Santa Monica Pier Aquarium to try and answer that question. themes common across all clubs. Some examples were “Smarter Members and Smarter Schools,” in which education on current environmental issues is key; “Alternatives at School,” which tackles changing the way schools do things; “Cleanups”, which can be completed from coast to campus; and “Awareness Through Social Media,” where dedicated accounts can keep members and followers up-to-date with club happenings. Choosing S.M.A.R.T. (Specific, Measurable, Attainable, Relevant and Time-Bound) tasks or projects is crucial to seeing goals blossom, attendees learned. The group was fortunate to hear from three youth leaders who’ve all completed dynamic projects in the past. From cleanups and fundraising, to youth boards and media interviews, Ben Moody, Fallon Rabin and Paige Hornbaker had great tips to share with the group. The summit wrapped up with time for each club to reflect on what proposed projects would suit their vision for the year and then plot those goals onto a school calendar. As a registered Club Heal the Bay partner, school groups also learned that participating i n three events or netting three reward “drops” would earn them an invitation to our end-of-year Beachy Celebration. 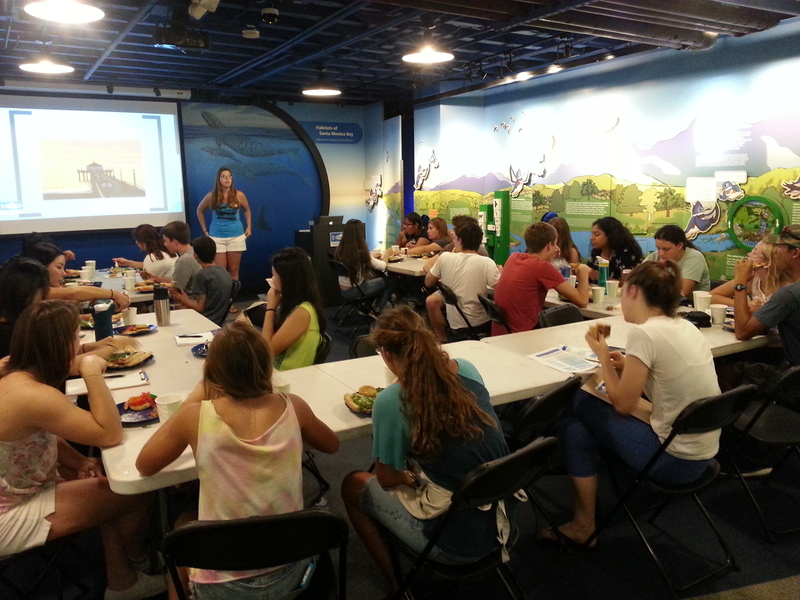 Whether it’s educating their own peers, spreading environmental awareness through social media alerts, or fundraising within their communities or local businesses, clubs from all grade levels and with varying membership bases strategized how to make a big splash this school year. I’m looking forward to seeing many of our summit attendees and getting to meet their club members at October’s Nothin’ But Sand Beach Cleanup, this Saturday from 10 a.m.-noon.